To be great do you need a coach? Tiger Woods has a coach! Most successful people have coaches, teachers, and mentors at all levels in their career and are always looking to grow and for guidance. Arron Renfrew has a portfolio of over 100 Doors that he manages and has sold over $500,000,000 in Real Estate and his team has over 45 years of investing, selling, and managing experience! 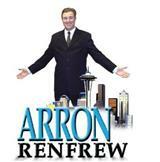 Contact Arron Renfrew today to get clarity on your goals for professional and personal and see how Real Estate investing can be a part of your Freedom Portfolio. Types of Coaching you are interested in OR your dreams or goals.